CLOSEOUTS. 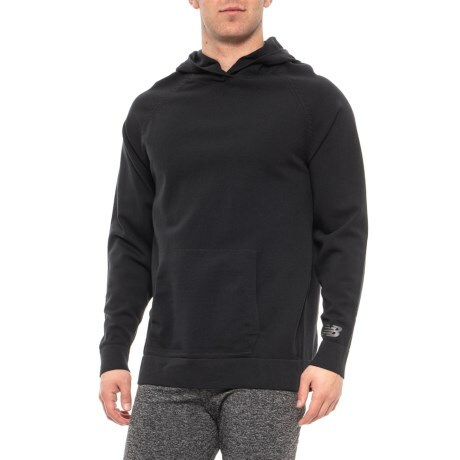 New Balanceand#39;s 247 luxe knit hoodie is knit from stretchy, breathable nylon with a loose-fitting hood and a kangaroo front pockets - perfect for chilly days and cool nights. Available Colors: GALAXY, BLACK. Sizes: S, M, L, XL, 2XL.